Vital guidance to ensuring the future of your firm G2: Building the Next Generation provides financial advisory firms with a clear roadmap to management succession. Based on the author's 17 years of experience with over 1,000 firms, this book provides a systematic process to help you identify, develop, and install the new leadership that will guide your firm's future. Extensive statistical researc… h backs proven strategies for structuring management and succession, overcoming obstacles, selling equity, and more, while expert guidance walks you through the process and warn you of potential pitfalls along the way. A generation of entrepreneurs used their talent and ambition to build an industry; to ensure that their success lives on, those leaders now face the formidable challenge of succession. With the future of your firm at stake, how do you recruit, train, mentor, and develop the next generation of professionals, owners, and leaders? This book shows you how to find the people you need, and develop them into the leadership your firm deserves. Identify and develop future leaders from the pool of existing and upcoming talent Structure management and management succession to ensure successful transition Begin selling equity to your firm's next generation of leaders Learn smart strategies for dealing with setbacks along the way The next generation of leaders will shape the future of your firm, but collectively, they will define the future of the entire advisory industry. Firms who succeed in developing their best talent will continue to thrive those who fail will be left with a great car, but no driver. Getting this right may be one of the most critical points of your career, and it isn't something that should be left to chance or "e;gut feeling"e;. 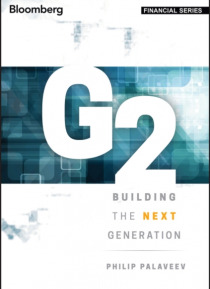 G2: Building the Next Generation gives you a solid, grounded, systematic approach for ensuring your firm's long-lived success.